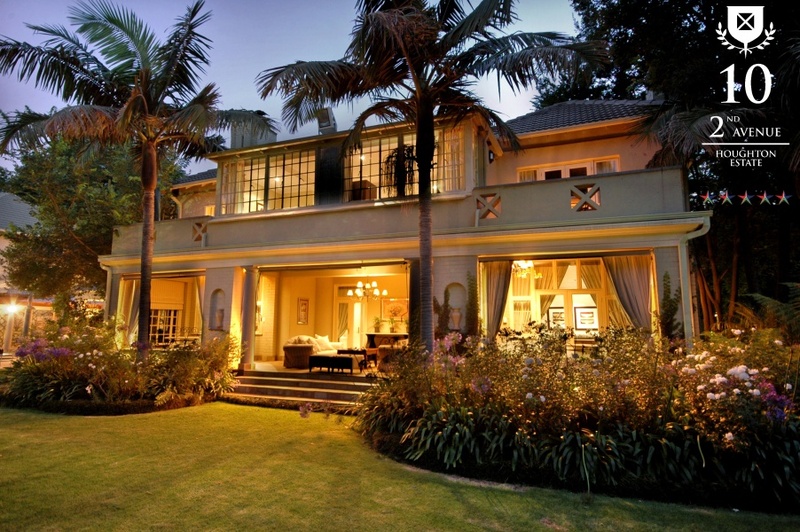 10 2nd Avenue Houghton Estate is a stately 5-star boutique hotel set in landscaped gardens in a prime area of Johannesburg. There are 12 Luxury Rooms, including 1 interleading Family Room; 2 Executive Suites and an exquisite Presidential Suite. The hotel has a sparkling pool, and elegant facilities for business meetings and private celebrations. Breakfasts and luncheons are served daily, and a la carte dinners in the evening. Kindly note that no alcoholic beverages are served. The hotel is positioned 20 minutes from OR Tambo International Airport and close to the business and recreational hubs of Johannesburg, Rosebank and Sandton. There's currently no specials at 10 2ND AVENUE HOUGHTON ESTATE. This property has four function venues, accommodating up to 40 delegates and also available for private celebratory events. Projector, screen, notepads and pens, speakers and flip charts are available for use.